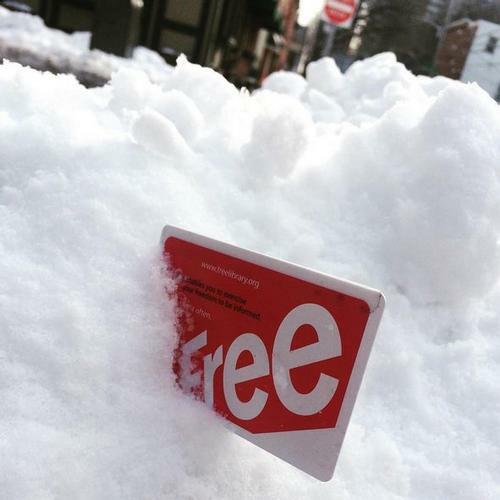 Spend Your Snow Day With The Free Library! Is today a snow day for you or your little ones? Spend it with the Free Library! Don’t have a card yet? You can sign up online and receive a temporary card instantly! A Free Library card is available at no cost to anyone who lives, works, pays taxes, or goes to school in the City of Philadelphia. In addition, anyone who lives in the state of Pennsylvania can obtain a Free Library card without charge. Out-of-state residents can obtain a card by paying an annual fee of $50.00. Your card gives you access to thousands of books, DVDs, CDs, and other research materials through our catalog, as well as access to our collections of digital media, online databases, and so much more! Whether in person or from your couch, we hope you'll spend your snow day with us! Add a Comment to Spend Your Snow Day With The Free Library!